Sonix’s U.S. Patent 7,328,845 covers a “visually negligible” graphical indicator and its use to encode information on the surface of an object. The specification notes that this visually-negligible requirement is the primary benefit of its system over prior art encoding methods such as a barcode. Figure 12 below shows the difference in the prior art 12(a) and the invention 12(b). The graphical indicators co-exist with main information, such as a text or picture, on the surface of object, and do not interfere with the perception of human eyes to the main information. A user retrieves the graphical indicators through an electronic system that does not couple with the object and acquires additional information from the graphical indicators. Later, the specification also provides details on how to create a visually negligible indicator by using an array of “graphical micro-units” that “can be reduced further such that the combination … of the graphical micro-units is visually negligible or is viewed as a background material by human eyes.” The specification goes on to explain that best results come from micro-units “so tiny that only a microscope apparatus can detect it”; so small that “human eyes cannot differentiate one graphical indicator from others”; and that when “arranged loosely … the user easily neglects the combination … of graphical micro-units and pays attention to main information.” The patent also calls-out three factors used to create negligibility: differentiability, brightness, and homogeneity. The court continued – finding that – “an accused infringer could compare the examples and criteria from the written description … to determine whether [any given] indicator is visually negligible.” In the process, the court distinguishes cases such as Datamize and Interval Licensing. Right result here – however, the court again does a poor job by reiterating its blanket statement that indefiniteness must be proven with clear and convincing evidence. But, indefiniteness is a question of law and the clear-and-convincing standard is historically directed to factual conclusions made by a court rather than questions of law. Finally, as suggested above, the “normal” human eye baseline created by Judge Lourie was apparently pulled from nowhere. The proposal was found nowhere in the patent document or the briefing. However, the court must have felt this term necessary to overcome its prior precedent requiring objective boundaries. One thing that likely saved the patentee here is that the patentee was not seeking to unduly broaden the scope of this claim term — i.e., the accused infringers products clearly used visually negligible indicator standards. There are numerous sorts of indefiniteness. I think we need to be clear about the differences. First there are relative terms, terms of degree. What is a “small” potato or a “large” egg? Unclear until you specify the mesh size sieve you are using but when you do the claim is no longer indefinite at all. Then there are seemingly definite terms which, upon scrutiny, turn out not to be definite at all. How about a catheter with a pushability (column strength) of between 40 and 50 push units as defined (at great length and in great detail) in the specification). And then there are terms that seem to be relative terms but aren’t really. Like “visually negligible”. When we refer to “visible” light, nobody would say it is a relative term. And “visually negligible” means de minimis doesn’t it (rather than visually indistinct or poorly visible. In other words, for all practical purposes invisible. For me, the striking thing about this case is the exceedingly long time it took, before anybody involved in the case found anything indistinct in the term “visually negligible”. Right. Because those in the industry knew what it mean. Its only when a lawyer was hired by the accused infringer that meaning because uncertain…. MD For me, the striking thing about this case is the exceedingly long time it took, before anybody involved in the case found anything indistinct in the term “visually negligible”. Because the PTO is competent when it comes to policing functionally claimed cr@p? You say visually negligible means effectively invisible, Les says it means things that ‘don’t jump out at you’. How can these claims be particularly pointing out the scope of the claims when the claims’ advocates don’t even agree on the scope? FWIW: I think ‘effectively invisible ‘ would have been perfectly definite. Why do you think such clear language wasn’t used? Why? For the same reason that most every patent claim is hard to understand, by anybody who is not themself a patent attorney, namely, an apprehension of having the claim construed narrower than what your client requires. Here, for example, what patent attorney is going to write the word “invisible” into his claim. Those who draft all the time live in a world of habit and risk minimisation, remote from everyday conversation. They might write, for example that an automobile “comprises” a steering wheel or a box of tools “comprises” a claw hammer or a soccer team “comprises” a top class goalkeeper. Most everybody except a claim writer would on the contrary say that my toolbox includes such a hammer. and my sports team includes such a goalkeeper. And “most everybody” would be more right than the patent attorney. And with that statement you go off the rails. You seem to want to ig nore the critical context in which the patent writer writes and what exactly IS the document that the patent writer write. Your last statement could not be more incorrect. Actually, there may be a hammer inside your toolbox, but I don’t think a patent attorney would say your toolbox comprises a hammer. Though if it did, that might be patent-able. Has anyone an explanation why claim interpretation is a mixed question of facts and law, and indefiniteness is solely a question of law? How can defining the meaning of a claim involve finding of facts, and concluding that the meaning of the claim is not reasonably certain not involve finding of facts? Pika, clear convincing evidence standard also provides that reasonable doubts have to be resolved in favor of the beneficiary of the standard, in this case the patent owner. The high standard in the case of patents is to provide security in the validity of the patent that the patent owner may reliably invest. If the patent owner’s patent be can be declared invalid in any case, and many cases may be brought against the patent owner seeking to have the patent declared invalid, having a low standard of invalidity can only severely undermine this security. Patents would no longer be reliably enforced or relied upon to build a business. Which draws into question the AIA that brought us the IPR that lowered the standard of proof of validity from clear convincing to preponderance of evidence. I’ll have a go at an answer, PiKa. Grounds of invalidity are questions of law. But when it comes to construing a claim the court needs first to know (as a question of fact) what is the meaning 8to the skilled person) of any given technical term recited in the claim, which meaning is a question of fact. Once the court has succeeded in construing the claim it can then proceed (as a matter of law) to decide whether it is invalid. I see this as a bit like obviousness. Once the jury has found as a matter of fact whether any particular step would be obvious to make or try, the way is then clear for the court to find, as a matter of law, whether the claim which it has itself construed, is invalid because it embraces something that was obvious. What they should have done is rule the term functional — claiming structure in terms of its results or effects. Thus, it should have covered the examples in the specification and equivalents. Now, if the infringer were using that structure, so be it. I also agree that broadly speaking, hiding information in a drawing or a painting by making the information virtually imperceptible is old as the hills. Only by reading into the claim the specific structures disclosed could this claim potentially be valid. See, on this point, a case that came out Monday. IN RE: CHUDIK, link to cafc.uscourts.gov Even though the Federal Circuit reversed, I like its analysis: if the structure other that the functional limitation is in the prior art, the examiner can shift the burden to the applicant upon showing that the examiner “has reason to believe” that the prior art structure inherently performs the function. Based upon this rule, the claims in the Nautilus case clearly are invalid because the structure disclosed in the specification and claimed is identical with the prior art. The only difference between the prior art and the claimed subject matter was a requirement that the unwanted signals be removed. But if the structure in the prior art was the same, one would have reason to believe that it too could perform the function. You are confusing yourself again Ned with the option for means claiming, and neglecting the Prof. Crouch term of (proper) Vast Middle Ground claims that can use the Act of 1952 approval of terms of action (no ‘means’ if some structure present). See Federico (as pointed out to you previously many many times). As to inherency, guess who (also) has LONG invited you to pick up that discussion point? ‘In the current regime a defendant hunts for the fuz ziest term to attack, believing that if that term is found indefinite it is f@tal to the entire claim. But how can this be a defense to infringement under §282(b)2 if it has no relation to the accused device/method? First of all, the scope of junk patents isn’t limited solely to the devices/methods of “the accused”. That’s why claims can and should be deemed anticipated or non-obvious even if if the device is found not infringing. Secondly, it is ridiculous to state here that the term “visually negligible” has “no relation” to the accused method. Assuming the claims aren’t found invalid for other reasons, the accused infringer here may need to modify its product/activities. How do they know when they have achieved a “visually non-negligible” result? What’s the objective standard? Just write claims with objective terms, and define those terms if there is any reasonable doubt. The laziness and/or incompetence of whoever drafted this application just cost their client a heck of a lot of money. A written CAFC opinion, wherein the erroneous logical leaps in the written opinion are negligible. Or perhaps the drugs protected by patents for Pharma have such clear “objective” effectiveness without regard to any human to human variation…. Go ahead and make all the awesome arguments you want, “anon.” Be sure to keep the policy considerations in mind. After all, you’re a real deep thinker! Super serious. We all have to pay attention to you. You think you it can’t be measured? You think drafters in the pharma sphere never provide definitions with objective boundaries? Prove it. Because you’re a very serious person, “anon.” Just like your deep thinking mentor. Lol / now you want to throw in “policy”…? Here’s one for you and your “policy”: matters of policy (especially in areas of law especially – constitutionally – noted as such) are the domain of the Legislative Branch. Near as can tell, THAT branch created NO special waver for Big Pharma on possession at the time of filing. You know – and can substantiate – something different? Please, speak up (and on point). You don’t even have to use those short declarative sentences you are always on about. While it isn’t relevant to the 112 2nd inquiry I’m sure we all remember the cold war stories where they would include microprint information in the text of documents to pass along secrit messages. One of the more famous incidents was where some info was recorded in the period at the end of a sentence. Not sure if that sort of thing would anticipate or obvious reject tho. LoL. You did that on purpose. I wrote about this decision in an earlier thread. Suffice it to say it’s one of the worst CAFC decisions in recent memory, by a long shot. Which should go without saying but somehow Judge Lourie and his fellow judges on this panel managed to say the opposite! All this is setting aside the fact that hiding utilitarian information on the surface of an expressive graphic image by making the information smaller (among other “tricks”) is older than the hills. Maybe Judge Lourie never noticed that portrait artists usually don’t sign their paintings in giant day-glo colors in the middle of the forehead of their subjects. I mean, when there are so very, very many from which to choose? Another example that defines structure in terms of what it is not. As to “defines structure in terms of what it is not, you are aware that negative limitations are permissible, right? You appear to be doing that 6-is-a-genius-because-he-agrees-with-me thing again. No, I don’t think so. 20/20 vision and whether or not one has it is something optometrists objectively determine on a daily basis. Associated with this is a limit on what one can resolve (dots per square inch). Additionally, there are models of human perception upon which the camera, printing and computer industries rely. CEILAB is one organization that promulgates related standards, formula and models. One of ordinary skill in the art knows what “visually negligible” means. Your arguement that the perceivable is definite would be great except that ‘visually negligible’ isn’t the same as ‘visually imperceivable’. This was greedy claiming, trying to cover both effectively invisible indicators (definite without further standards) and effectively unobtrusive indicators (indefinite without further standards). Infringers are free to argue/show that their indicators are obtrusive. Was that the case here? What standard is there for visually perceivable elements that ‘do not interfer with the perception of human eyes to the main information’? That sounds like a subjective aesthetic judgement to me. The border of all claims is subjective at some level. Even the border of real estate depends on the tolerance of measurements. If you want to operate up against the border, every once in a while your fate is gonna be in the hands of 12 people who didn’t figure out how to get out of jury duty :-). Again, did the accused infringer argue that her indicator was visually obtrusive and therefore didn’t infringe? Next you’ll be telling us a computer interface with an aesthetically pleasing look and feel is definite because real estate boundaries are not exact. An indefinite claim is invalid, regardless of what the infringer was doing. The point is negligible has a meaning. We all know what it means, even when used as a modifier on visually. If you read it in a spy novel you would understand exactly what it means. Its only when its in a Patent claim that people get all baffled and pretend they don’t know what phrases means so they have a posture for a court case. But, we all know what it means. It means when you look at the image in the way one is intended to look at it, in this case, so one can see what a book is about and who wrote it, you don’t notice the indicator. It doesn’t jump out at you like the illustrated bar code does. Kinda like Waldo. If you look long enough and with enough intensity, ya might find it. But like Waldo, it doesn’t jump right out at ya. How much more definite does something have to be to be definite? Ah, yes: the sooper definite and objective “jump out of you” standard used by Visual Arts Scientists since the invention of the Jumpometer in 1952. Got it. It doesn’t have to be sooper definite, just definite. But thanks for your negligible input. I do not think it has a meaning in this context. My initial impression was that “visually negligible” referred to an indicator that did not obstruct the graphic in the way that element 10001 obstructs the underlying image of figure 12. Your initial impression (Based on Post 3) appears to be that “visually negligible” refers to imperceptible indicators. You’ve now worked your way to a vague ‘doesn’t jump out at you’ concept. Even if we accept ‘doesn’t jump out at you’ as definite (which I doubt one of ordinary skill in the art would), you’ve still got a term with three contextually reasonable interpretations. Based on the ambiguity alone the term is indefinite. Show me a claim that you find to be definite and I will find something in it to argue is indefinite. You say there are three contextually reasonable interpretations. I say there isn’t a dimes worth of difference between them. Visually negligible means you can neglect it. If you were reviewing the galleys and you saw it as an imperfection you would shrug and say no one else will notice it, its not worth a redo. Start the presses. Fyi, I could be giving the CAFC too much credit here but my guess is that this decision was one of those ham-handed attempts to provide cover for the GUI “stakeholders” who are plainly responsible for everything good that happens in our world. Les: Show me a claim that you find to be definite and I will find something in it to argue is indefinite. Les is a very serious person. Tune in next time when he whines about subject matter eligibility because “everything is abstract!” It’s real deep stuff. Thank you once again for your negligible input. Within the space of possible articles and services there are those which clearly infringe, those which clearly do not infringe, and then there are those which are troublesome borderline cases. It’s not the law, but would an alternative framework for “indefiniteness” work: assuming SOME borderline exists for reasonably definite claims, could the system not invalidate a patent when a borderline case is shown, only that the particular borderline case defendant is presumed not to have infringed when it happens to be hopelessly stuck on the border? Not sure how workable that would be, Anon2, as that would only be an easier “push” for the efficient infringement crowd. As it is, the “already” easy calls (both non-infringement and infringement) are typically not run to trial where such patent invalidations may occur. While I think your intentions were good, I think the result of your suggestion would be like trying to get rid of the wolf at the back door by throwing him a steak. Essentially my intent was to provide a way for a claim to stand (not be invalidated) notwithstanding its fuzzy fence. In that way the patentee does not lose the territory which is clearly within the claim… he or she merely concedes to the extent he/she failed to be clear, i.e. only areas on/within the fuzzy fence. The ability to narrow that fence would have the attendant benefit of having more coverage (more clear area) closer to it. Seems a sin to throw out claims completely which have a bit of broad fuzziness if there are areas where it is clear. By having a presumption in the defendant’s favor, no claims would be purposefully written as fuzzy, and there would be no less predictability or uncertainty. The ability to narrow that fence would have the attendant benefit of having more coverage (more clear area) closer to it. There are these things called “dependent claims” that some practitioners use. You basically recite the independent claim by referring its number, but then you add text (in a “wherein” clause, for example) that limits the definition of a broad term to a narrower species falling within that broad term. It’s a radical approach but more and more folks seem to be using it these days. Rather, the “problem” in one inherent in language itself (and that self same language IS necessarily also at play in depdendent claims. Turtles (as in “words” as “turtles”) all the way down. This is a perfect reminder of those Examiners who simply do not understand the difference between claim breadth or scope, i.e. the area within the “fence” defined by the claims, and the clarity of claim (thickness of the boundary itself between what is or is not covered by the claim). A narrow claim (small area) can be indefinite (have a fuzzy fence), and an incredibly broad claim (large area) can be definite and clear (well defined thin fence). It requires merely a basic understanding of concepts, definitions, and logic and yet Examiner’s keep misunderstanding. READ the CLAIM. A claim to a bicycle means any bicycle…. and the absence of any limitations means the claim is not so limited… it is what it is… “a bicycle” means “a bicycle”. “A bicycle” is not indefinite, a claim to “A bicycle.” is simply not patentable because it is not new. For example, take my hoary old example of the squash racquets ball that is “characterized in that it is blue”. One might object that “blue” is indefinite but is it really, given that those manufacturers who try to compete with my superior blue ball will inevitably be marketing their ball as blue (as opposed to the prior art black). I believe Anon2 is correct. 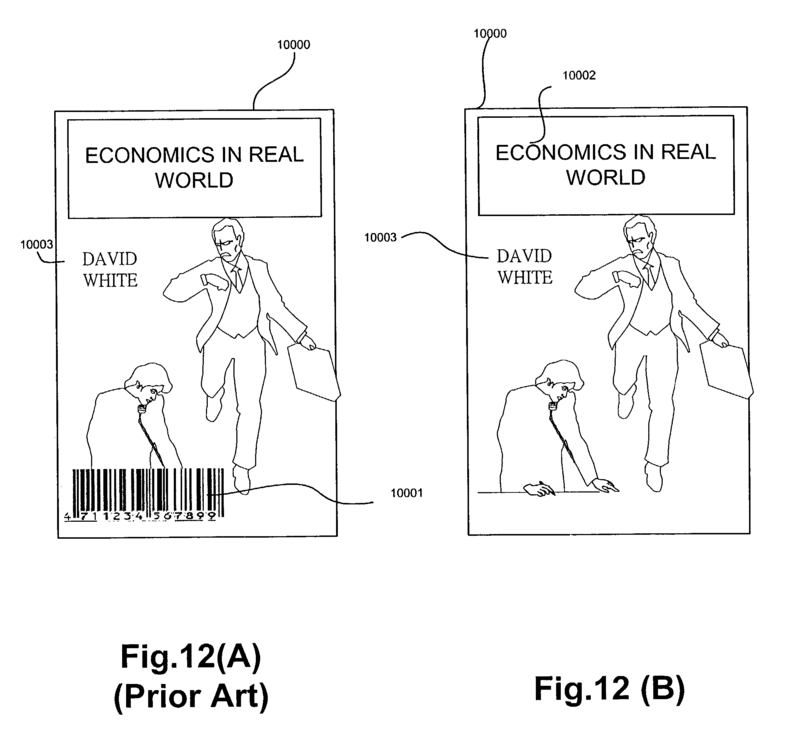 A patentee must “distinctly point out and particularly claim the subject matter”. The statute is directed toward the claim as a whole. But a single disputed term often corresponds to an individual boundary line of the claim. A fuzzy boundary line does not necessarily render the entire claim indefinite. It still has other defined boundaries and it still has a center. In the current regime a defendant hunts for the fuzziest term to attack, believing that if that term is found indefinite it is fatal to the entire claim. But how can this be a defense to infringement under §282(b)2 if it has no relation to the accused device/method? Unless a feature of the accused device/method falls within the fuzzy boundary, then it cannot be a defense to infringement. The technocratic approach to invalidating entire claims by manufacturing a controversy over single terms has become another effective tool for efficient infringers. Hopefully the analysis by the Circuit panel of the infringing device in this case will become standard practice. A claim having a clear center remains indefinite if that same claim is deemed legally indefinite at the edges. You are not saved by the clear center. Absolutely that IS the law. 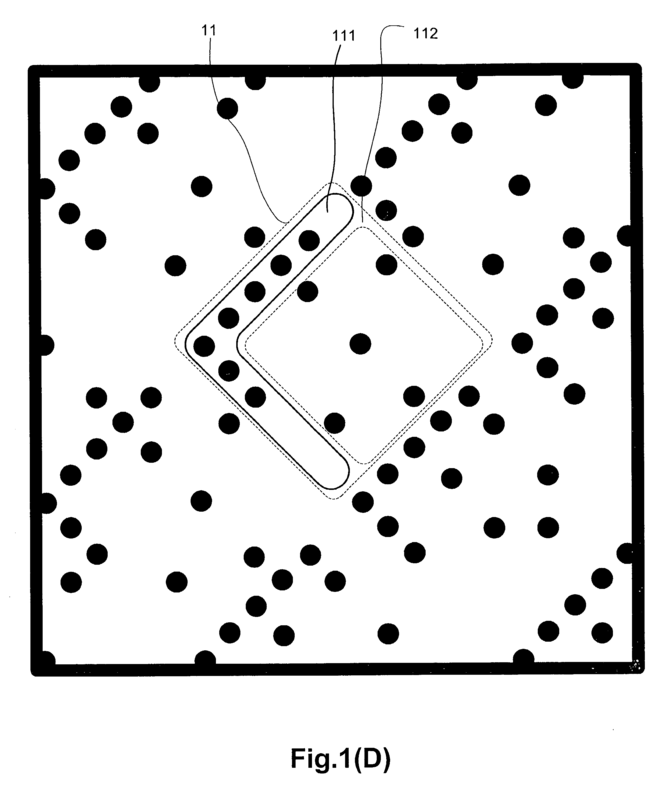 Indefiniteness of a claim simply is not parsed to an inner part (center) and an outer part (non-center) and given a pass if the inner part (center) is clear while the outer part (non-center) is indefinite. Prof Crouch, Not sure why taking 36 words is necessary when the message is the same as a direct 4 word sentence (that you c3ns0red). Does each portion of the boundary have to meet the same threshold of clarity? Who owns the rights to the subject matter of a patent with a fuzzy boundary, but a clear center region that is not anticipated or obvious over the prior art? This reminds of my of manufactured watermarks and the controlling (but factually nonsensical) In re Nuitjen case. I do think that some members of the Supreme Court and Federal Circuit would find the claims here ineligible. Hi Dennis – did you mean indefinite, vice ineligible? No – referring back to Anon’s comment on Nuijten. In that case, the Federal Circuit held that an un-embodied or transient signal was not patent eligible under 101.
an output device coupled to the processing device for outputting the additional information. Ah, sorry, and thanks for the explanation. I’m a little fuzzy today (as already demonstrated in 1.2.1), but don’t get the ineligibility of this claim. It reads much like chip/wafer production inspection system claims used to read, when they were new. In that regard, though, if you cut out all the stuff that’s not actually present in the claim system but just indicating the intended use of the system, I’m not sure there’s much to distinguish it from prior art optical inspection systems of the early 1990s. Regarding claim 1, I should note that the patentee did not assert this claim, but did assert claim 9. Which of course is logically inane (as looking up into a clear night sky will provide millions of examples of so-called transient things having existence far longer than anything anyone can point to as “non-transient”).